You are also able to forfeit your reserved date 7 days before the day of the trip. If you cancel the trip within 7 days of the trip you will forfeit your deposit. The remainder of your balance will be paid the day of the trip by CASH, personal CHECK, Debit/ Credit Card or Paypal. I provide- licensing for all clients, a large cooler with ice. All bait & tackle. Rods, reels and safety equipment. Recommended items to bring- Sunscreen, Sunglasses, Food/ Drinks, Hat, Camera, non-marking shoes. Alcohol is allowed on the boat (beer and wine) If possible please bring cans over glass bottles. When booking a nearshore trip, you will travel to the clear and abundant waters surronding Boca Grande and Charlotte Harbor. 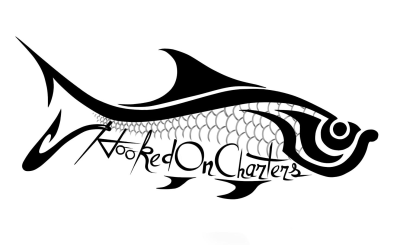 We will be targeting Snapper, Grouper, Tripletail, Cobia and Mackrel depending on the time of year. When Nearshore fishing in Southwest Florida we travel upwards of 9 miles from land to search for wrecks, rocks and other structure in where these fish find refuge. 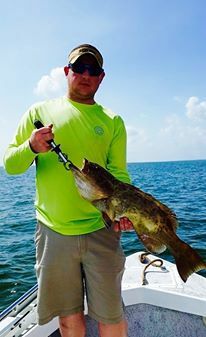 When booking a Nearshore trip ask the Captain what is biting. This trip tends to yeild the most "groceries" for you to take home. 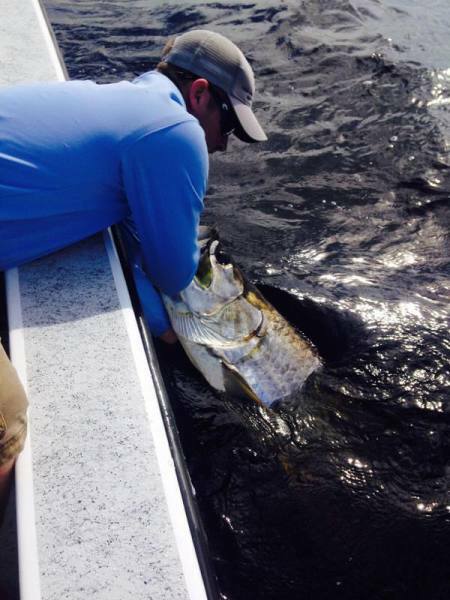 COME AND EXPERIENCE THE BEST TARPON FISHING IN THE WORLD RIGHT HERE IN BOCA GRANDE. Opportunity to wrestle with the beast that roam the waters of Southwest Florida. On this trip we Target Sharks of various species and the massive and endangered fish called the Goliath Grouper. It is not uncommon to catch Goliath Grouper weighing upwards of 500lbs! This trip requires us to use large baits such as live fish, Stingray and large chucks of dead bait. So grab your buddies because you will need someone to hold you in the boat! 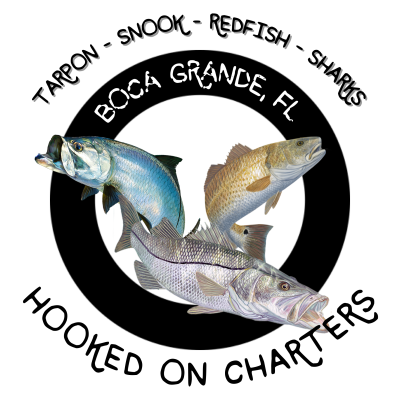 This trip will take you on an adventure to catch the toothy critters that inhabit Boca Grande and the surronding waters. On this trip we will be using heavy and light tackle, live, cut and dead baits to catch the attention of the sharks. We will start the day by catching bait using rod and reel, castnet or bow and arrow. Commons sharks we catch are Blacktips, Lemon, Bulls, Hammerhead, Spinner, Nurse and an occasional sawfish.